This article will describe a configuration about /etc/profile.d and ~/.profile. 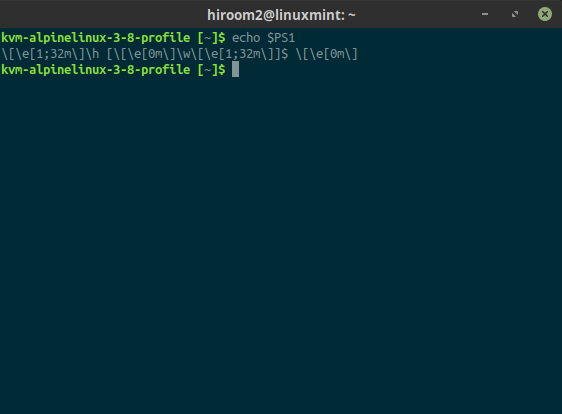 /etc/profile will load *.sh script at the /etc/profile.d. The commands to be shared to all user should be written to *.sh script at the /etc/profile.d. 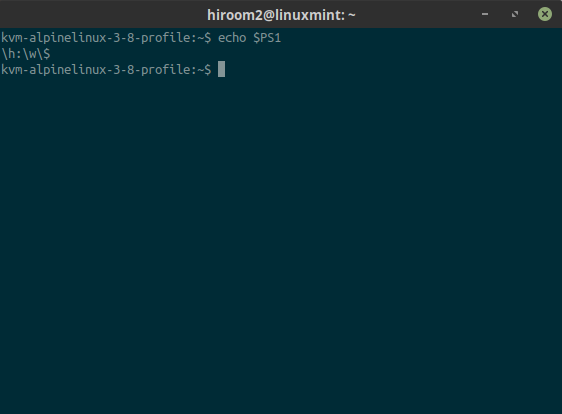 Because this script does not have *.sh suffix, /etc/profile does not load this script. This is issue with alpine-baselayout-3.1.0-r0. The prompt before fix is the following. The prompt after fix is the following. The commands for each user should be written to ~/.profile. There is not skelton of ~/.profile at /etc/skel. You need to create ~/.profile.